Visit our Revelations page to read more about what the Stratfor emails reveal about the private intelligence-industrial complex. Over the course of 2011, as online activism became more visible, the US government’s reaction became increasingly disproportionate both in its public statements and what was being discussed behind closed doors. The determination to arrest Jeremy Hammond was just one dimension of the heightened perception of Anonymous as a threat worthy of attention at the highest levels. Cyberspace provides relatively small-scale actors an opportunity to become players in economic espionage. Under-resourced governments or corporations could build relationships with hackers to develop customized malware or remote-access exploits to steal sensitive US economic or technology information… Similarly, political or social activists may use the tools of economic espionage against US companies, agencies, or other entities, with disgruntled insiders leaking information about corporate trade secrets or critical US technology to ‘hacktivist’ groups like WikiLeaks. 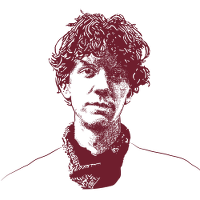 Jeremy Hammond was arrested on 5 March 2012 by the FBI, along with five others associated with LulzSec, largely as a result of Hector Monsegur’s cooperation with the government. Hammond was charged with several counts of hacking, conspiracy to hack and conspiracy to commit fraud, totaling a potential 35-year prison sentence. Chief District Judge Loretta Preska presided over Jeremy’s case in Lower Manhattan. She declined to release Jeremy on bail, claiming he was a “flight risk,” hampering his ability to prepare for trial with his counsel. Jeremy’s lawyers were willing to agree to home confinement in New York City with electronic monitoring and a total computer ban. He would have only been allowed out of the house to visit his lawyers, and he would have only had a certain amount of time to get from the apartment where he was staying to his lawyer’s office. Nevertheless, Judge Preska denied the motion, asking, “what’s to stop [Jeremy] from stopping at an internet cafe and performing the Stratfor hack all over again?” Jeremy was placed in solitary confinement at the Metropolitan Correctional Center in New York City and had to wait for more than a year in jail to start trial. He was also denied access to his discovery by the prison, logging only 11 hours of access to the laptop which contained the relevant files between 13 February 2013 and 10 April 2013. Judge Preska is married to Thomas Kavaler, a former Stratfor client whose email and encrypted password were revealed in the GI Files. The defence moved to recuse Judge Preska on conflict-of-interest grounds and legal scholars supported that motion. National Lawyer Guild executive director Heidi Boghosian said, “If Judge Preska stays on this case it goes against everything she is sworn to do as chief judge and degrades the integrity of the court.” However, the decision was Preska’s, and she refused. Jeremy ultimately pleaded guilty to one violation of the Computer Fraud and Abuse Act in a non-cooperating agreement that allowed him, as he explained in an accompanying statement, “to tell the world what I did and why, without exposing any tactics or information to the government and without jeopardizing the lives and well-being of other activists on and offline.” That plea carried a maximum sentence of 10 years in jail. Jeremy’s lawyers submitted 265 letters of support for their client demanding leniency, but on 15 November 2013 Judge Preska sentenced Jeremy to the maximum: a decade in prison.